The hotel is easy to access both by car and public transportation. The Eemshaven is situated a 25-minute drive from the hotel and the Groningen airport (GRQ) is only 11 km from the hotel. The Stadspark, next to the hotel, is perfect for enjoying nature or jogging. Make sure you visit the Groninger Museum or one of the city's atmospheric shopping streets. Discover Gronigen's beautiful landscapes, and end the day in one of its many pubs. Comfortable hotel room, excellent restaurant. The room could use a bit of an update with USB ports. Also an clothes iron/press in the room would have been helpful. Breakfast and dinner were outstanding. The food very well prepared and professional, friendly staff. Staff was very friendly and professional. Mattress was bad for my back with arthrosis and the shower was very tiny. But all was very clean. Excellent hotel for staying overnight after visiting Martine Plaza theater. As always a great pleasure to be back in the Mercure Groningen. Bar was perfect. Until 21h still food available. People woking where funny and friendly. Room clean and some candy. Easy cycle to city centre, great bar staff. Hotel room is OK but the bath room should have more space. The room and facilities were very nice, as is to be expected in a 4-star hotel, but I was pleasantly surprised by the quality of the food in the restaurant. Normally I tend to go out for dinner when staying in a hotel for business, but this time I ended up eating in every evening, because the menu was diverse and interesting and the dishes were prepared very well. Also, the restaurant and bar staff was very attentive and hospitable. This was my second stay at this hotel and this tells everything in terms of satisfaction. Overall, the stay was pleasant. It was the first time staying in a Mecure. While the mini-bar was unlimited; the selection was lacking and there were no food items. The strangest thing was the lack of wash rags in the rooms. I dismissed it on the first day, but not having them for subsequent days was weird. Pleasant staff in an otherwise bland hotel. Breakfast was excellent. Good parking facilities. Never ate at the restaurant at night or bought anything at the bar. I arrived just as the restaurant was closing. However, the bar and restaurant staff were happy to provide some food for me, and ensured that I did not go to bed starving. The hotel is basically two towers. Tower 1 floors do not connect to tower 2 floors. For some reason, the room nummers are &quot;connected&quot; and that makes it very confusing. It should be like this: Tower 1 room number starting with 1 and tower 2 start with 2. 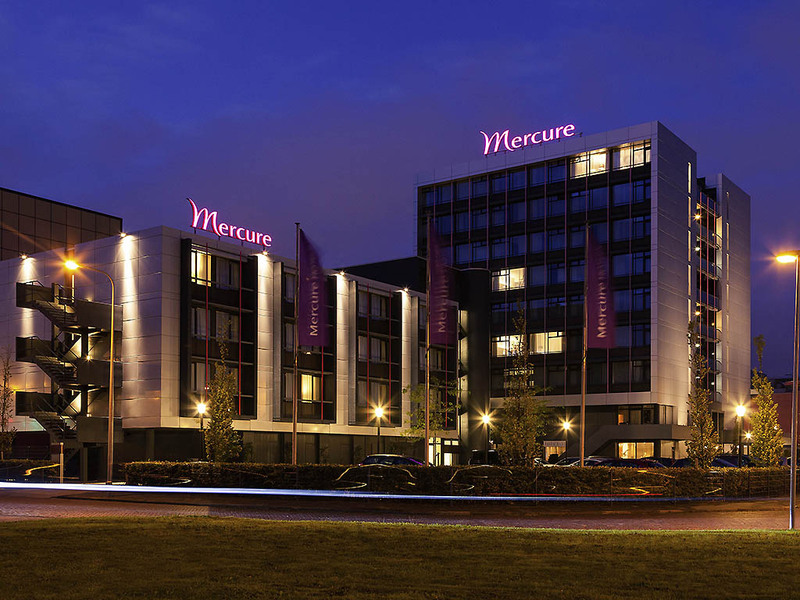 Nothing special, a standard Mercure Hotel. The room is small and the appliances for coffee and thee were full of dusty. The breakfast was good.